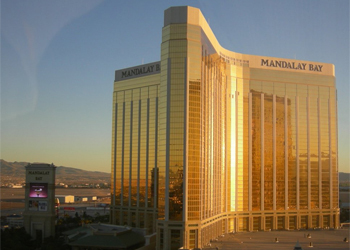 According to Nevada State Athletic Commission Executive Director Keith Kizer, UFC 106 will be jumping off inside the Mandalay Bay Event Center in Las Vegas, Nevada on November 21st. According to Kizer’s post on The Underground Forums Monday evening, the UFC has requested to have the Mandalay Bay host their pre-Thanksgiving weekend event. It is now in the Commission’s hands as we await their approval. There is no reason to believe that they would deny the UFC’s request. It had been rumored that the UFC was looking to put this show on somewhere in the east coast, with Toronto, Canada even being one of the possibilities. If this report holds true, the event will mark the UFC’s first card in their Las Vegas backyard after they host their highly anticipated UFC 100 show on July 11th. Coincidentally, both shows will be at the Mandalay Bay.